Opioids are a class of powerful drugs that are primarily prescribed to treat severe pain. If opioids are abused, they can create feelings of intense pleasure or euphoria, and can also lead to fatal overdose, along with other medical, legal, and social problem. Opioids have analgesic (pain relieving) and Central Nervous System (CNS) depressant effects. They slow down the activity of the CNS (brain & nervous system). The top image is a real 80mg Oxycontin. 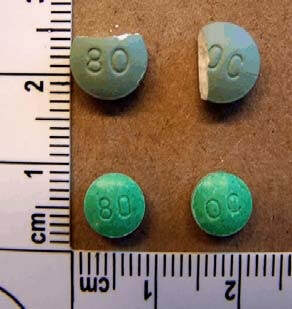 Below, for comparison, is another counterfeit 80mg Oxycontin. The shade of green is clearly wrong. 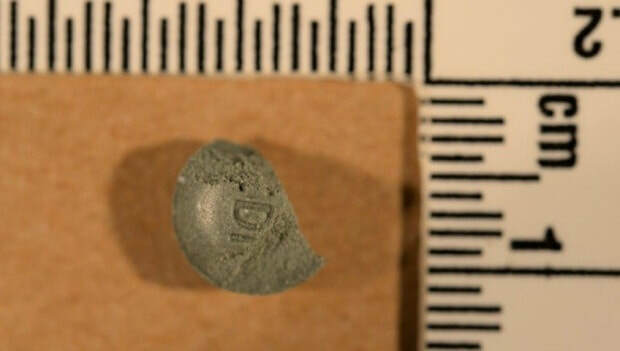 Counterfeit 80mg Oxycontin. The outer casing colour (green) is extremely close, however, the inside should be white.